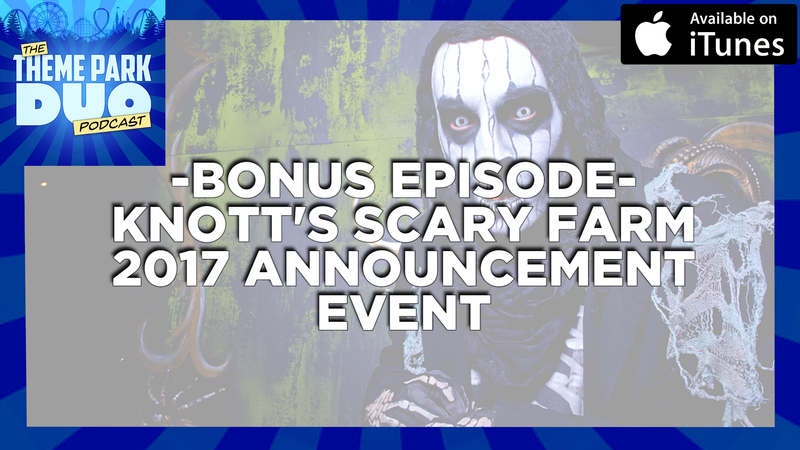 Knott’s invited The Duo to the Knott’s Scary Farm Announcement event and we got the scoop on all the spooky details that await everyone this coming Halloween season! We also got incredible interviews with Jon Cooke, Daniel Miller (Maze Designers) and Ken Parks the Director of Entertainment at Knott’s Berry Farm! In this episode we share our thoughts about the ALL NEW MAZES as well as the returning mazes for Knott’s Scary Farm 2017! Knott’s Scary Farm Promises Unique Terrors and Scares for 2017!